Global athleisure market – a fad or here to stay? The global athleisurewear market is seen by many to be at a tipping point as sales for some brands and retailers slow but more sophisticated collections launch. At the end of 2016, the year that athleisure seemed to reach its peak, some media predicted that athleisure could be the trend that must face its biggest trial in 2017. Major activewear brands Nike and Lululemon have seen growth slow and there have been suggestions athleisure has become "uncool". Yet, according to just-style report 'Global market review of athleisurewear: a fad or here to stay?' the year of 2017 has proved them wrong. Collections were launched by Tory Burch and Moncler – the latter a luxury athleisure skiwear line. With enough budget to develop more sophisticated technology and able to mass produce, they have done considerable research and made experiments attempting to find the perfect balance between comfort and performance. The report suggests organisers of "experiences" are not good at selling merchandise as an add-on, and often are not set up to do so. They are missing out on a commercial opportunity, and are allowing "organised" retail to dominate this clothing sector. While general purpose bricks and mortar retailers are not attracting athleisurewear purchasers as they see them as too bland and ordinary, specialist sports physical retailers are attracting athleisurewear consumers through a mix of sports brand power and reasonable pricing. Meanwhile, both general purpose catalogues/internet sites and athleisure specialist catalogues/internet sites appear to be gaining market share. In order to estimate market size for athleisurewear, there are three dimensions involved; garments, activities and method of purchase. Think of this as a cube of data. The cube can be sliced and diced in a variety of ways, but in order to drill down to specific athleisure garments bought to be worn for an activity, the whole clothing world has to be sub-divided, then sub-divided again, and then yet again. 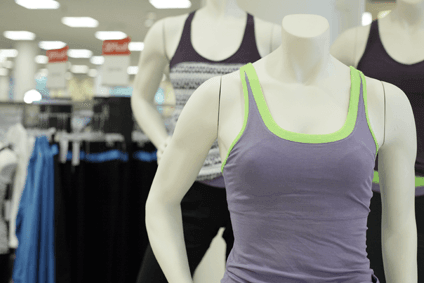 Research shows that consumers are now prepared to put into their wardrobes casual clothing for athleisure activities they would not have dared to wear in public ten years ago. The report considers whether athleisure is here to stay or whether it will just end up as yet another fashion fad?